We've added aquathlon, aquabike & Super Sprint distance into the event to make it inclusive to everyone. The venue & course remains the same as the past few years. Swim is the Meres Leisure Centre in Grantham, a clean and modern 8 lane 25m heated pool with a 400 seat spectator area. Moving through transition you cross the bike mount line & make your way out of the leisure centre facility onto a mini roundabout & head through the Lincolnshire town & countryside. The bike section is a 2 lap course with a few undulations to enjoy. The run takes you around part of the town immediately around the leisure centre on a 2 lap course. The water station is positioned so you can get liquid refreshment half way around the 2 lap course. For SuperSprint distance only 1 lap of the bike & 1 lap of the run course will be required after 8 lengths of the pool. We have added aquabike & aquathlon to all our triathlon events - so if you fancy a shorter race over the swim / run or swim / bike elements you can enter this race. Held on the same day, you will go into the usual waves of the triathlon race & head from the pool straight onto the run OR bike before crossing the finish line to grab your medal. We think this is a great way to try a multi-sport race. TEAMS: The triathlon team consists of 2 or 3 members. If your team has 2 members, the first member will conduct the swim and the run and the 2nd member will conduct the bike. If your team has 3 members, 1 member conducts EITHER the swim, the bike or the run. The team can consist of British Triathlon Federation members and non-members. Any non-members must pay their £5.00 Day Licence fee at registration on the day of the event. For the Aquathlon the team will consist of 2 members, 1 on the swim and 1 on the run. 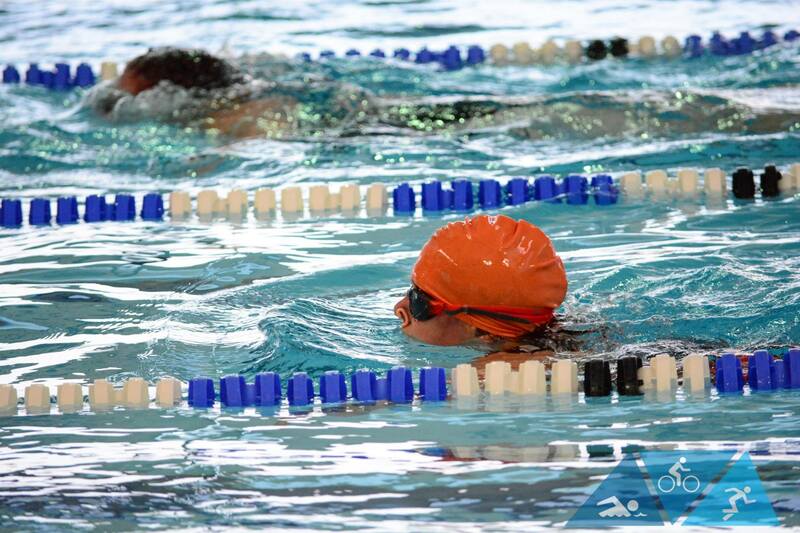 For the Aquathlon the team will consist of 2 members, 1 on the swim and 1 on the run. For the Aquabike the team will consist of 2 members, 1 on the swim and 1 on the bike. The date for 2019 is Sunday 7th April.